Raleigh International is the UK’s leading youth development charity. 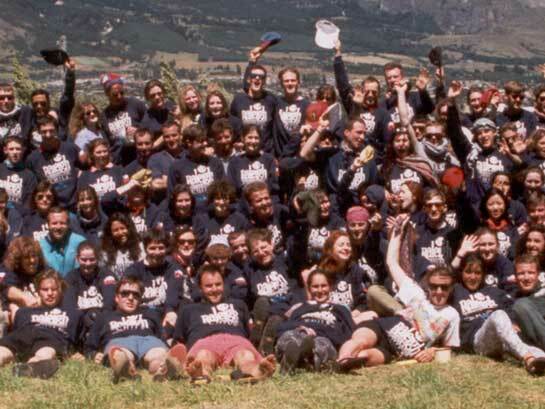 Established in 1984 as ‘Operation Raleigh’ they inspire people from all backgrounds and nationalities to discover their full potential by working together on challenging environmental and community projects around the world. Volunteers are between 17-25 years old, with staff members being 25+. Expeditions are three months long take part in countries such as Belize, Costa Rica, Ghana, Malaysia and Chile. It was late in 1992 that I took the decision to travel to Chile with Raleigh, and took part in a selection weekend, but it wasn’t until January 1994 that I had the sufficient funds and time to head for South America. Though supported initially by my employer, I had to negotiate the time off work, and raise almost £3000. You cannot just pay your money and go on expedition with Raleigh. Three months in a challenging environment such as the jungle or a desert takes a special kind of determination and application. All volunteers have to undertake a selection weekend, which gives them a feel for what expedition life could be like. The process includes both physical and mental tests to see if you are able to cope with such circumstances as lighting fires, cooking in the open, building rafts, crossing ropewalks and surviving whatever the weather throws at you. My selection weekend took place nr Castleton in the Derbyshire Peak District, and it was a very wet and difficult experience. Working in a small team I got very little sleep for 36 hours, navigated with map and compass through the night, helped carry a casualty on a stretcher almost a mile off a hillside, cooked a meal using improvised implements over an open fire and build a rope runway. Often the most difficult task to undertake, fundraising can be a long and difficult job. With almost £3000 to raise and with so many other organisations in the market for charity funding it can be almost impossible to get corporate funding from local or national companies. Many people raise funds by doing local charity events or extra work. Raleigh has a large network of ‘Support Groups’ throughout the UK, which can offer advice on fundraising and other matters. I found my local support group in Derby an invaluable source of help through this crucial phase. During 1992 and 1993 I was working part time as a DJ, and raised my £3000 by working extra evenings and saving hard. There were a lot of very long nights behind the turntables, but it was all worth it. I was also in full time employment, which made the mornings hard work, but I soon got used to the hard work. For many of my co-volunteers, the trip to Chile was their first time out of the UK. I had travelled abroad before, but no where near this far. After a messy flight from London to Santiago, we were confronted with a 3 day coach ride to Base Camp. All 110 of us were packed into three coaches, and driven over the Andes south through Western Argentina and back into Chile. The roads were bumpy, and the food marginal, but we all got to know the people in our coaches, and begin to build an excellent expedition spirit. We arrived at Base Camp tired, stiff and hungry, but in high spirits. The coaches could not get into camp due to a weak bridge over the river, so we had to carry all our kit half a mile up the road. After our journey it was the last thing we wanted to do, but at least the traveling was over – for now. 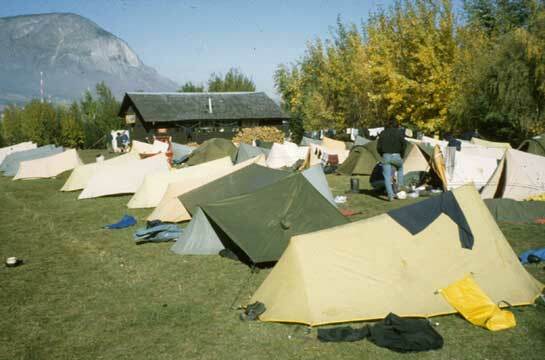 Situated in Southern Chile, Raleigh Base Camp is at El Verdin, nr Coyhaique. It is a well-established base with permanent buildings, stores and equipment. The field was adorned with rows of tents, which soon became home. It wasn’t long before washing lines were strung up, equipment was strewn everywhere and the general buzz of the camp rose. After a few hours rest, we were all gathered together to be introduced to our expedition staff, and briefed on how the next few days would run. It was not to be a restful time at all. We had to undergo intensive training in expedition skills, and spend a couple of nights at Lago Castor, a local lake where we would be put into our first expedition groups and spend our first nights out under the stars. I had been training for the expedition for over a year before I left for Chile, and felt well prepared for the months ahead. I did struggle with one or two individuals in my group, but as a whole they were an excellent team to be with. After a weeks of training we were briefed about our coming deployment south, to the small coastal town of Tortel. Tortel is 300 miles or 48 hours travel south of Coyhaique – apparently. After five days of hard traveling we drove our small boats into the harbour and unloaded. A long list of breakdowns, missed appointments, and even a bridge missing delayed our journey. Scientists from Liverpool University were carrying out studies in plate tectonics and measuring the strength of the earth’s gravitational pull around the coast of Southern Chile. We helped drive the boats up and down the coast, and took readings using a Gravimeter – a £60,000 piece of scientific equipment. The coastline is beautiful, remote and unspoiled. During two weeks of travel we saw only one other boat. We returned to Tortel to train the next group in boat handling before moving onto the Science Phase. Though the main project was to build a Hydroponic Greenhouse we couldn’t employ all sixteen of us at once on the site, so I was involved on a smaller project to construct a house for a local man, who had been abandoned by his family. It was a small one room wooden building stood on a hillside, overlooking the inlet. We worked non-stop to build footings, walls and a roof, which was faced with wooden tiles. After ten days of hard work it was nearly finished, but fate intervened, and we left Tortel early on board a Chilean Naval Vessel bound for Puerto Chacabuco. 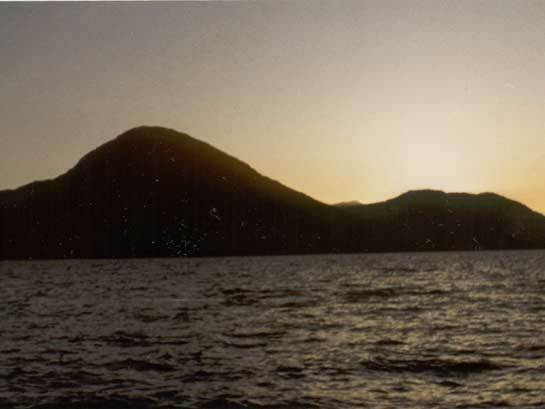 The journey down to Tortel had been so difficult that we had to accept the voyage north. Some local workmen took the work over, and as we left they were fitting the window frames and a door. Jenimeni is a National Park approximately the size of Wales full of jagged mountains and glacial lakes. We drove many miles into the park and set up our woodland camp on the shore of Lago Jenimeni. The conservation project involved building fences and thinning out areas of young woodland. The work was hard but we didn’t mind because of the dramatic scenery and sunny weather. The time flew by and soon we set off for a five-day trek into the mountains. The park has many rivers, which could only be crossed by wading through, sometimes up to our chests. We soon learned what the phrase “permanently wet” felt like! 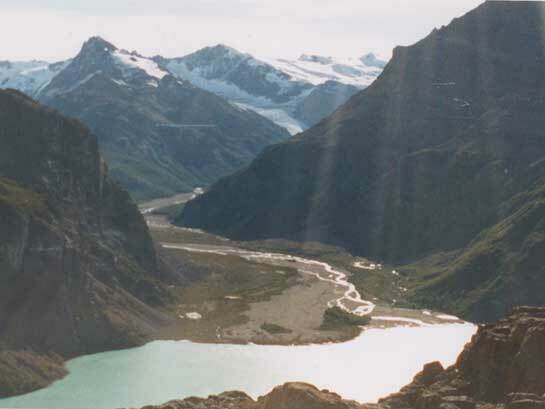 We crossed a high mountain ridge, and broke into an enormous valley surrounded by Glaciers. Condors circled overhead and Parrots filled the trees around us. We ventured close to a glacier and entered an ice cave. The water was freezing cold but nobody cared, as by now being soaked was part of life. We returned to camp after five days with great memories of staggering scenery and beautiful wildlife. Cerro is a small village living under the shadow of Mt Cerro Castillo. After a fire the Club De Madres (Mothers Club) was being re-built. Unfortunately Due to a lack of materials the project was behind schedule, and we had little chance of finishing the building. We decided to work as hard as we could, and hopefully finish the roof. The work started slowly and we split with one group setting off for a local farm to work on a farmhouse. After a few days the weather cleared and we decided to scale Mt Cerro Castillo, which dominated the skyline. The climb was technically easy, but still hard going up screefields and steep slopes. However the 100 plus mile views from the summit made it all worth the effort. Back at camp the other group had returned from the farm, so we changed over and headed out of town. We worked with the farmer for the next few days cladding the walls with wooden tiles before returning to finish the Club De Madres roof. The local community held an Assado and dance on the final evening to thank us for the work. 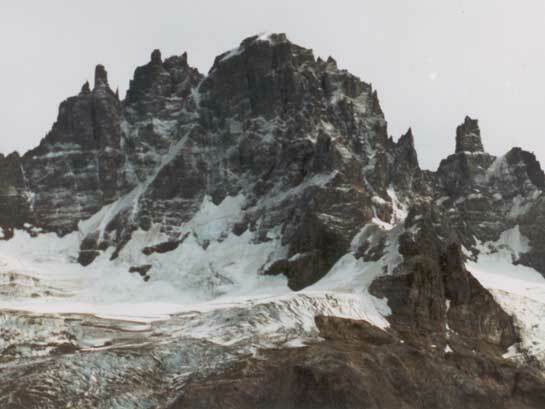 We left Cerro the next day with great memories of the kindness of the people and the vision of the enormous Mt Cerro Castillo. Although I was happy to see everyone again at Base Camp, my heart was sad. The expedition was over, and I had to face the stark reality of a long journey home, and returning to work within a few days. After the inevitable parties we said our goodbyes and headed north for Santiago. The Airport seemed like the end of the World, but the departure was smooth and we were soon on our way back to England. At 1.30pm on Saturday 20th April 1994, after three months away we touched down in London. Looking back to on my expedition experiences I found them a fantastic boost to my confidence and self-awareness. Raleigh is a great learning experience and opens up many new horizons. I would recommend it to anyone. Thanks for your comment. 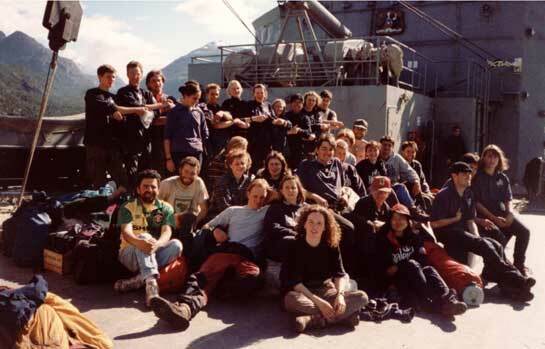 Im still in touch with a fair few of the 94A crew, and like you, found the experience life changing..! 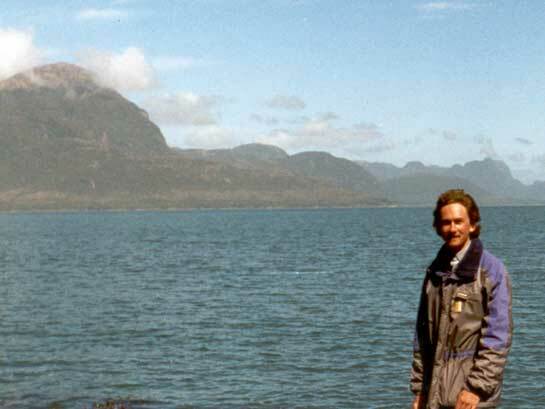 Hi I was on the chile trip as well sep to Dec my name was desmond mcleod from Glasgow what a excellent experience was looking to catch up with any old friends and old photos. Awsome read mate. I was on 95g expedition. I’m going back in 2021 on a solo trip. I can’t wait. Id love to go back myself sometime. Have a wonderful trip James..! Hi Sheelagh, lovely to hear from you. I’ve created a Facebook page for the expedition (if you’re into social networking). Previous Previous post: So you think you’re a speaker, but can you really speak..?